As part of CRA’s mission to help the computing research community become more engaged in policymaking and programmatic roles in D.C., we’ve embarked on a new effort to highlight the work of members of the computing research community who have taken the plunge and chosen to serve the nation in policymaking roles. This new column will provide these policymaking researchers an opportunity to highlight work that the community should know about, as well as raise awareness of the types of opportunities that are available to those interested in serving. CRA board member Margaret Martonosi is currently serving as a Jefferson Science Fellow (JSF) within the U.S. State Department while on sabbatical from Princeton University for the 2015-2016 academic year. Within the State Department, she works in the Bureau of Economic and Business Affairs’ Office of International Communications and Information Policy (CIP). CIP is responsible for the formulation, coordination, and oversight of U.S. foreign policy related to information and communications technology (ICT). 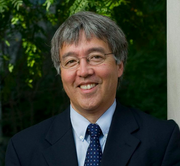 Jim Kurose is an assistant director (AD) at the National Science Foundation (NSF), where he leads the Directorate of Computer and Information Science and Engineering (CISE) in its mission to uphold the nation’s leadership in scientific discovery and engineering innovation through its support of fundamental research and transformative advances in cyberinfrastructure. 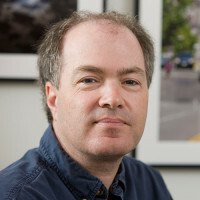 He is on leave from the University of Massachusetts, Amherst, where he is a distinguished professor in the College of Information and Computer Sciences. 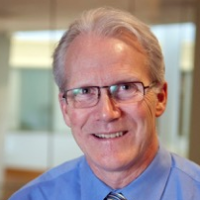 Scott Jordan is the Chief Technologist of the Federal Communications Commission (FCC). While at the FCC, Jordan is on leave for governmental service from the University of California, Irvine, where he is a professor of computer science. His research has focused on Internet quality of service issues, including traffic management and resource allocation, in both wired and wireless networks. His current research interests are Internet policy issues, including net neutrality, data caps, and device attachment. In 2006, he served as an IEEE Congressional Fellow, working in the United States Senate on communications policy issues. Randy Bryant is currently the Assistant Director, Information Technology Research and Development at the White House Office of Science and Technology Policy (OSTP). 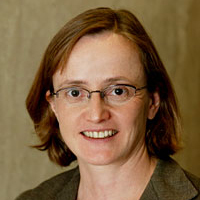 While at OSTP, Bryant is on sabbatical from Carnegie Mellon University, where he is a University Professor in the Computer Science Department (with a courtesy appointment in the Electrical and Computer Engineering Department). He served as dean of the School of Computer Science from 2004 to 2014.